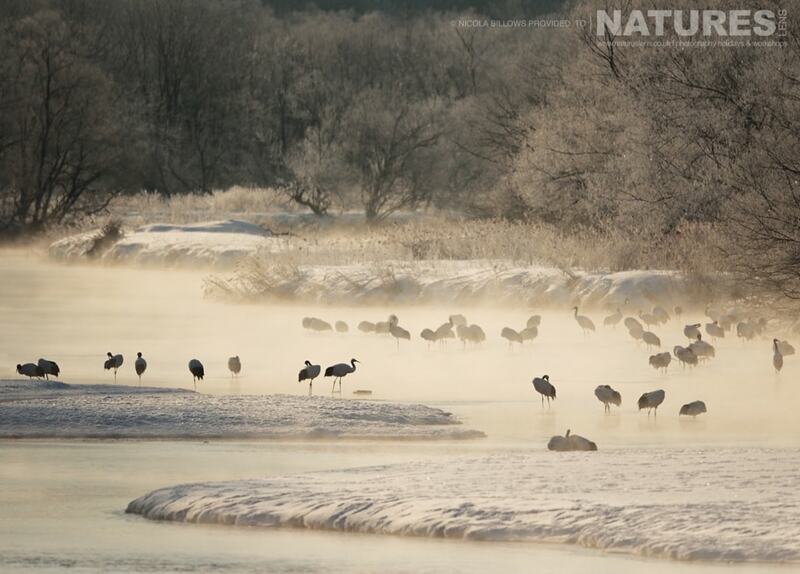 In the first of our series of blog posts on Winter Wildlife in Japan, Nicola (Billows), one of our guests on our recent Japanese Winter Wildlife tour has very kindly sent us some of her favourite images to share with you. 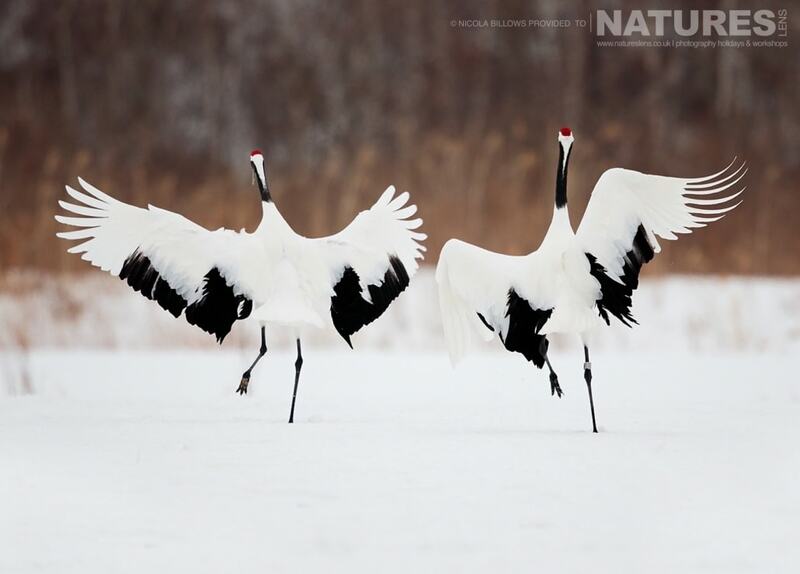 This first blog post showcases the regal Red-Crowned Cranes. 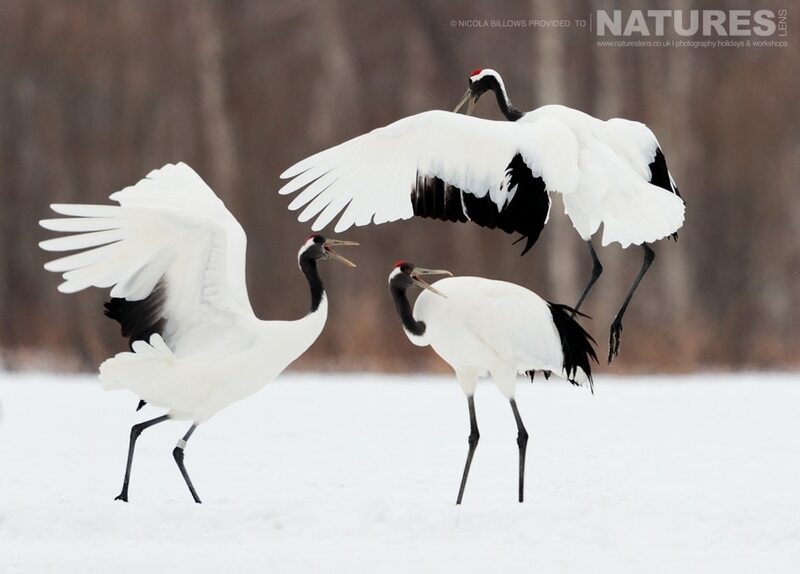 These beautiful birds are among the largest of the crane family. They are so named because of a patch of bare, red skin on the crown, which gets brighter during the mating season. 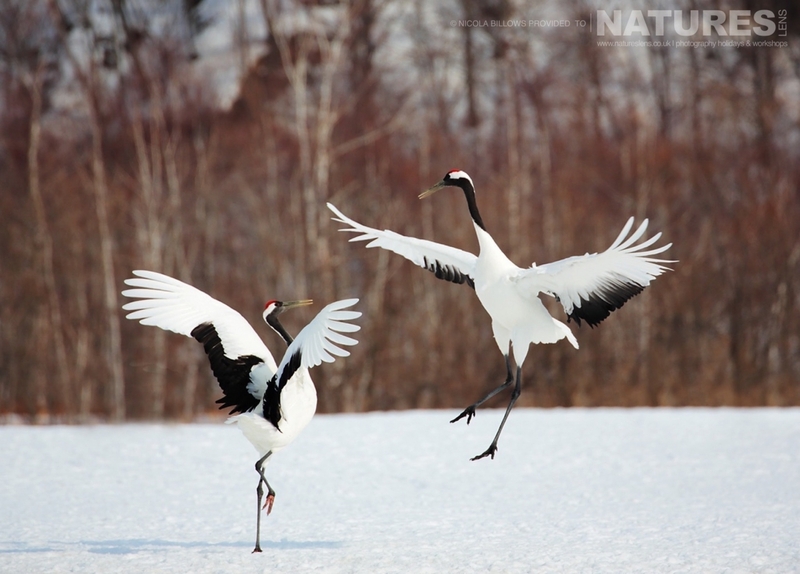 In Japan, the Red-Crowned Crane is said to live for a thousand years & a pair of them are featured in the design for the 1000 yen note. 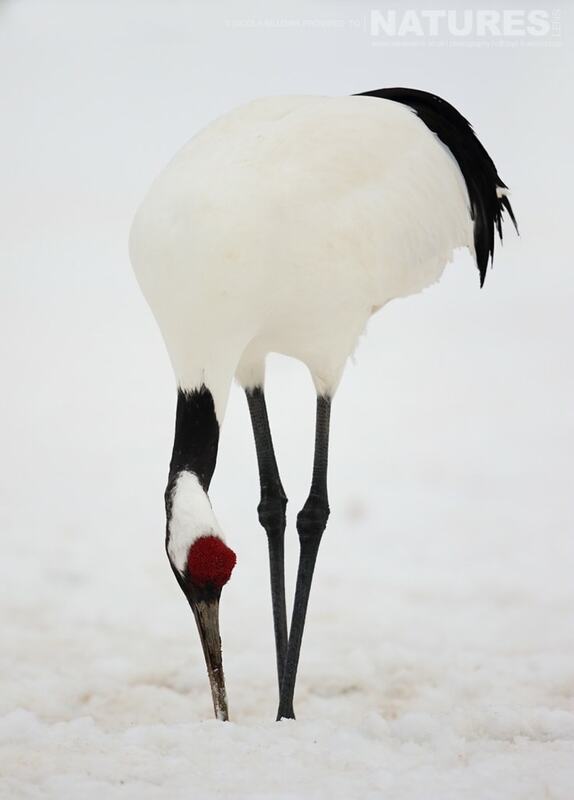 Cranes are also said to grant favours in return for acts of sacrifice. They are also known for their fairly elaborate mating dance that helps them in forming & maintaining the pair bond. 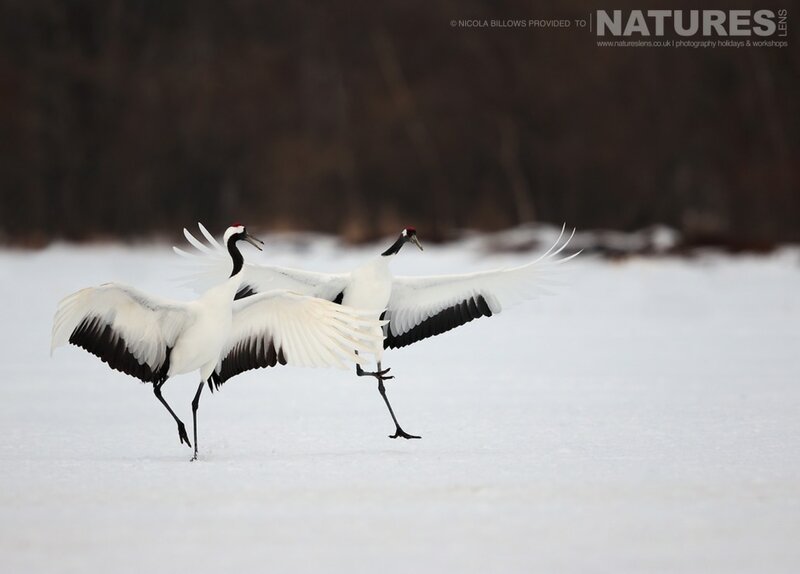 This dance begins with the two cranes moving rhythmically closer until they are close enough to touch each other. They will then tilt their heads back & sound off with a fluting call together. This call will frequently trigger other such calls to start this dance, which has been beautifully captured by Nicola. 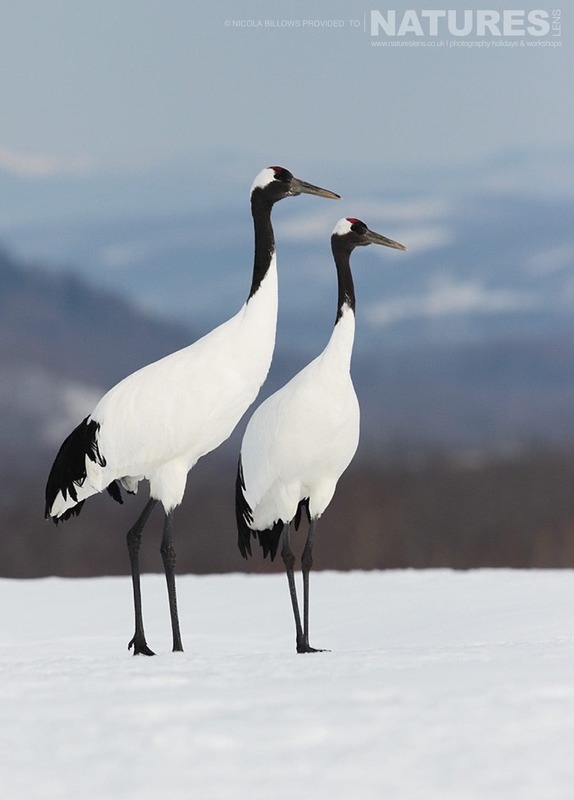 To photograph the charismatic winter wildlife of Japan for yourself, join David Miles & Ian Roberts, members of the NaturesLens guiding team, in Japan during February 2019 for a trip lasting 13 nights; this photography holiday will offer you the opportunity to capture images of the red-crowned crane, snow monkey, steller’s sea eagle, white tailed sea eagle, whooper swan, plus more; the NaturesLens Winter Wildlife of Japan Photography Holiday is offered on a half board, non-shared room basis, & costs typically £5249 per participant, but there are several early-bird places available priced at £4999. 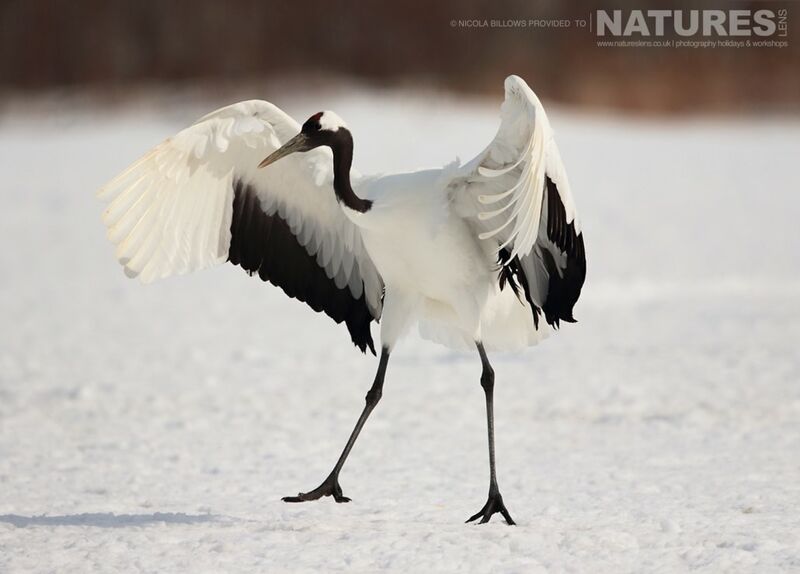 This entry was posted in client images, galleries, worldwide tours and tagged hokkaido, honshu, ice, japan, photography tour, red crowned crane, snow, stunning, winter. 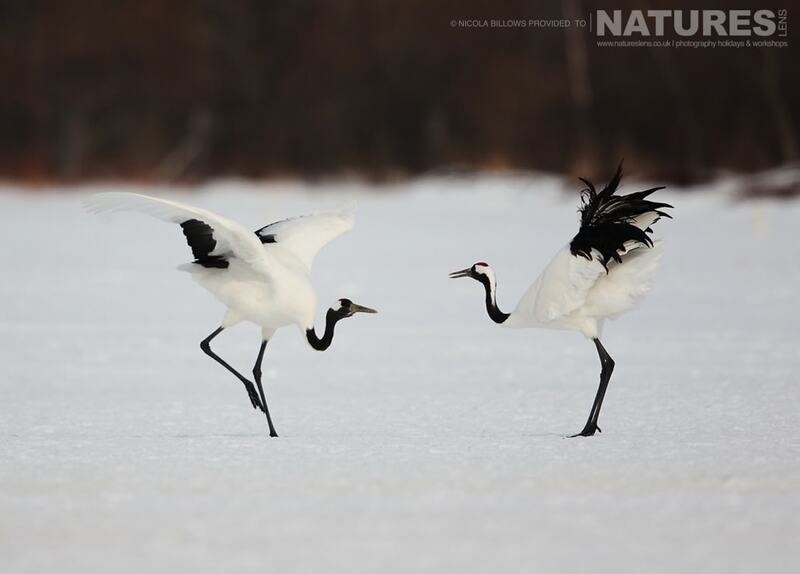 Whatever your query regarding our photography holiday, Winter Wildlife in JapanRed Crowned Cranes, please fill out your details below & we will get back to you.